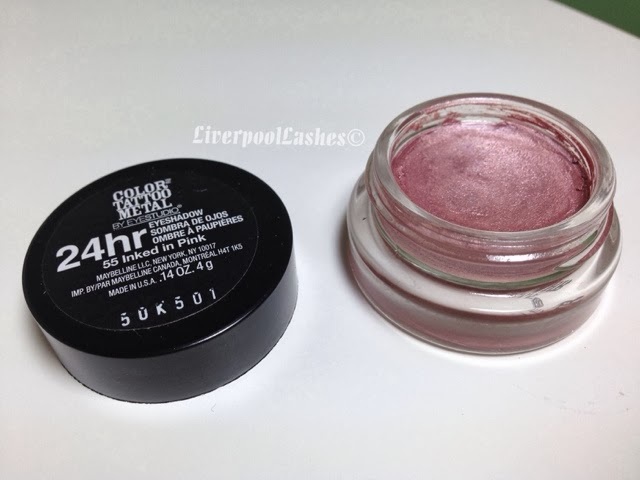 Up until last month MAC Paint Pot in 'Painterly' was my number one eyeshadow base. Although I hadn't tried them myself I introduced Bezzie to the Maybelline Color Tattoos a while ago and she loves them. The reason why I didn't buy any of them at that point was because it always put me off that the testers in the stores were always dried up, to the point where as you got literally no colour on your finger. This all changed when part of my US list included shade 55 - Inked In Pink. Half of me wanted to get it because it's a shade we can't get in the UK and the other half thought that I could finally try the Color Tattoo line out for myself. 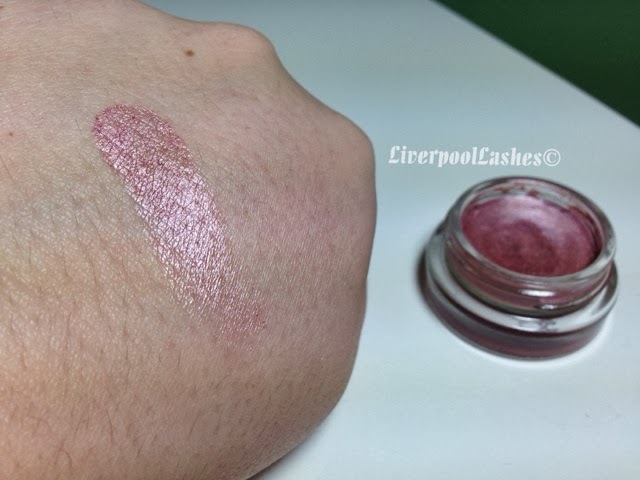 The second I swatched this colour I was in love. It's a metallic dusty rose shade that glides flawlessly onto the skin. 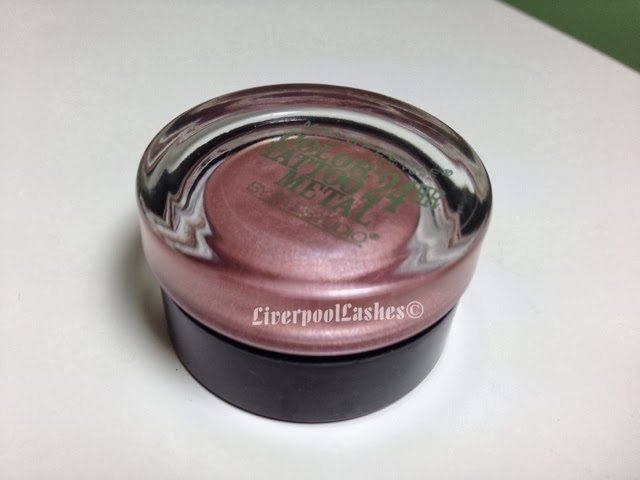 Now to be fair it's pretty unlikely that I will wear this as an eyeshadow on it's own. I know it's a stunning shade but something deep in my brain tells me I need to set a cream with a powder. I generally always put a similar shadow on top which helps it show true to colour. That being said if I was short on time one morning, once this eyeshadow dries it doesn't budge. The bottom line is... judging by this pot the Maybelline Color Tattoo line is definitely something I need to explore further. Inked In Pink is an amazing colour. I think it's a good alternative to champagne shades, adding colour without being too shocking. Once this pot has run out I would definitely either order from overseas or add it to my list for my next US visit. 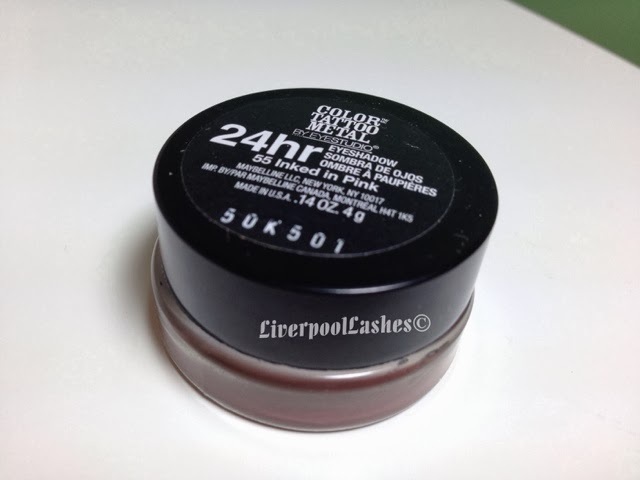 This cream eyeshadow is definitely one to check out!